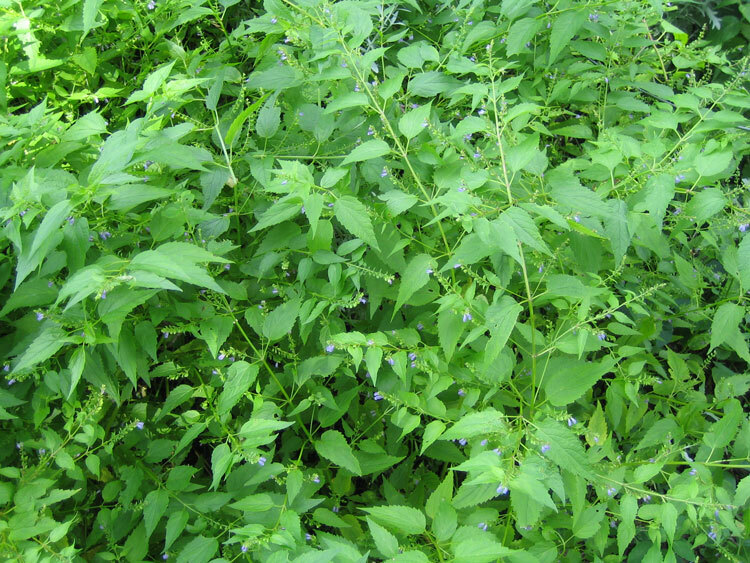 Official or Common Skullcap belongs to the Lamiaceae (mint) family. 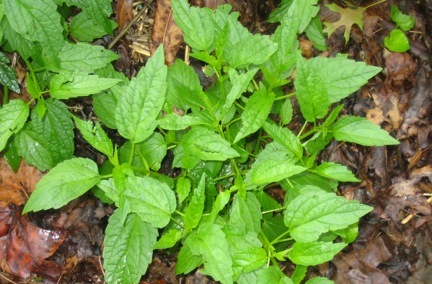 The leaves are gently toothed and opposite each other on a square stem commonly found with mints. Pale blue flowers bloom in pairs on 2″ long stems that jut out from the leaf axils. Skullcap is an erect plant that tends to arch a little with many branched stems. Common skullcap prefers damp conditions with partial shade to sun. The key is getting enough moisture. It really needs water to thrive. Drought conditions produce significantly smaller plants and leaves, for example, six to eight inches high compared to 18 to 24 inches high. Propagate by seed sown in the fall or spring. Seed needs cold conditions, for example in refrigerator, for about one month before planting for best germination. I start seeds in February or March here in South Central Wisconsin. I get my seeds from Richo Cech at Horizon Herbs. Michael Moore suggests that skullcap is seeded “into moderately prepared beds in late spring, keep moist and covered with a bit of straw, thin out in the spring.”Something I plan to try. For some reason, I experienced great difficulty in starting skullcap from seed this year. Gardening is always a surprise package! I ended up buying some really nice plants from Sandy Mush Herb Nursery as a last resort. Perhaps I’ll have better success with my next try at starting them from seed! It never ceases to amaze me how growing familiar plants can differ so much from year to year. It keeps one humble. Skullcap is an herbaceous (leaves and stems that die down at the end of the growing season to the soil level) perennial native to the United States. Skullcap is suppose to be hardy from minus 15 degrees to a minus 40 degrees Fahrenheit. They generally return pretty readily, either self-sown or plants that survived the winter. 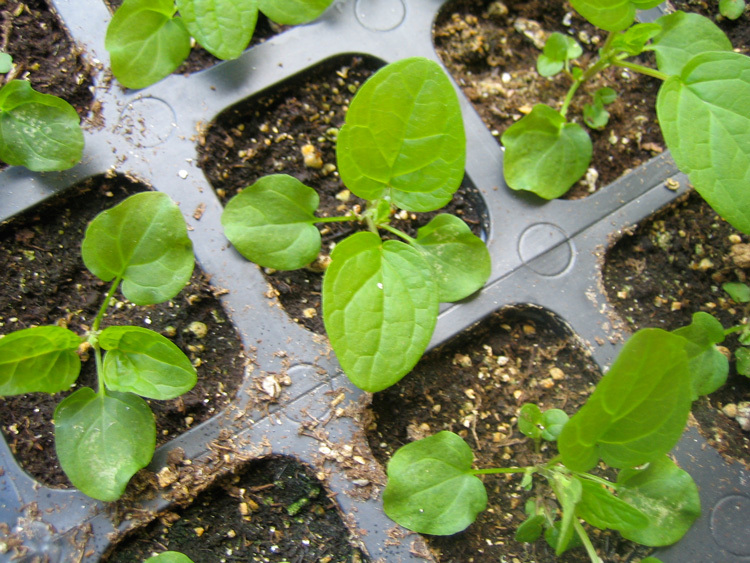 I always like to start a few seedlings inside to assure I have skullcap in the garden. I usually find a generous number waiting for me without my help. This year proved differently. No seedlings emerged and I had great difficulty starting any. Have to wait and see how 2014 showcases. I’ve harvested first year vibrant plants with success. However, Andrew Chevallier suggests harvesting 3 – 4 year old plants in summer in flower. My most successful year was a summer with lots of periodic rainfall and consistently moist growing conditions along with semi-shade provided by a large nearby tree. It thrives near water. I haven’t had unconditional success year to year due to swings in weather conditions. This 2012 summer drought coupled with additional abundant sunshine with the removal of the neighbor’s nearby tree was the absolute worse. It really brought home what type of growing conditions allow skullcap to thrive. This wet weather of early summer should prove beneficial! So in summary, I find it very helpful for tension headaches. One friend of mine asked for some Skullcap tincture when she felt a strong headache coming on and it relieved the headache surprisingly fast. I could see taking it before or after for a somewhat anticipated tense meeting, or those times my head is simply over-thinking everything and feeling on the distraught side of things. Or, as my friend experienced, take some Skullcap when I feel that tightening tension headache coming on. Cech, Richo. (2000). Making Plant Medicine. Williams Oregon, A Horizon Herbs Publication. Hoffmann, David. (2003). Medical Herbalism. Rochester, Vermont. Healing Arts Press. Winston, David. (2003). Herbal Therapeutics. Broadway, N.J. Herbal Therapeutics Research Library. Wood, Matthew. (2008). The Earthwise Herbal, A Complete Guide to the New World Medicinal Plants. Berkeley, California, North Atlantic Books. Chevallier, Andrew (1996). The Encyclopedia of Medicinal Plants. New York, New York, DK Publishing Inc.
Moore, Michael. (2003). Medicinal Plants of the Mountain West. Santa Fe, NM. Museum of New Mexico Press. Gladstar, Rosemary. (2001). The Family Herbal. North Adams, Massachusetts. Storey Books. Harvest above ground plant including leaves, stems and flowers. Tincture fresh immediately. You can also dry the herb. Be sure to keep the dried herb in a cool, dark place for best outcome. Replace this dried herb stock annually.